The Parable of the Unforgiving Steward is admittedly difficult to preach on---actually that’s not true. The parable, as Jesus tells it, is really pretty straightforward. It’s the reality that’s hard. Today’s parable comes on the heels of Peter’s question to Jesus: “Lord, if another member of the church sins against me, how often should I forgive?” Let’s begin by being clear about what Peter is asking—what he’s really asking is NOT, “How often can I forgive—because it’s something I really like doing and want to engage in this practice more often.” He’s asking the opposite: “When can I stop forgiving and call it quits.” “When can I put an end to this ceaseless round of mercy when the person I’m forgiving isn’t about to change his or her ways. At what point am I justified in washing my hands and calling my duty done?” It is upon this question, Jesus launches into the parable of the Unforgiving Steward. So…when Jesus tells this parable, bear in mind that a talent was equal to about 130 pounds of silver and was the equivalent to about fifteen years of a laborer’s wages. What this means is that the servant in today’s parable owed his master approximately 150,000 years of labor. In other words, this Steward would never, ever, not in a million years, be able to pay his master back. But a denarius, by comparison, was worth about a day’s wage, which meant that the second servant owed the forgiven one about a hundred days of labor—not a small debt, mind you, but one that was payable. But still….we all get the point, don’t we. How could the Unforgiving Steward fail to overlook that relatively minor debt when he had just been forgiven an impossibly huge one. How indeed? And yet….we’d be missing the point if we failed to understand that this parable is about ourselves—and our terribly human tendency to count, to calculate and keep track of the wrongs done to us by others. Why do we do this? 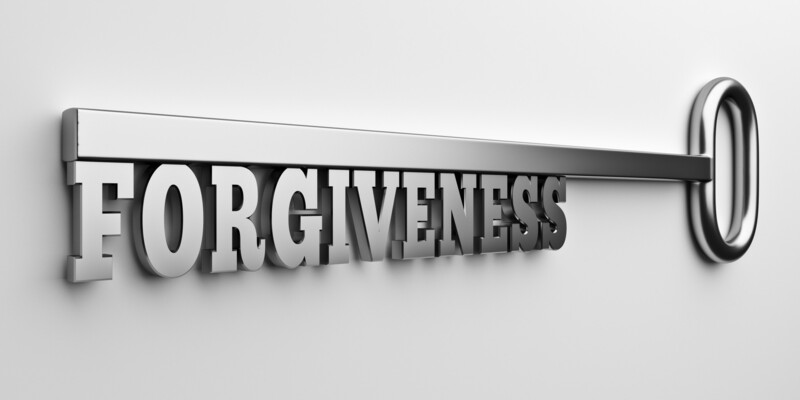 How does forgiveness turn into a numbers game? “I’ve forgiven you twenty two times and now I’m done.” In the end, Jesus takes the numbers out of the calculation. So, what do we do now? Where does this leave us? So keep this in mind, forgiving is separate from loving the other, its separate even from liking, separate from restoring trust in a relationship and certainly separate from forgetting. Instead, forgiving others becomes a habit—it becomes a part of who we are. Forgiveness, if done well, becomes ingrained in the heart, and it becomes less about numbers, less about the offender, and more and more, about loving God and ourselves. Now, that’s something to think about. In Jesus’ name. Amen.